This page will contain links to relavent pages associated with fight these East Texas fires. It will stay in service for as long as the fires are not contained. We hope this will be a primary resource for surrounding departments, especially when they are out in the field fighting fires. There will be links that are redundant for the purpose of making it easier for fire fighters to upload links on their Smartphone. The public and region we serve in North Gregg County may find these links useful. JMVFD is also in the process of going LIVE with a new Facebook page to notify the public as well. This is a daily situation report from the Texas Forest Service which outlines daily fires, containment issues, risk to populations etc. 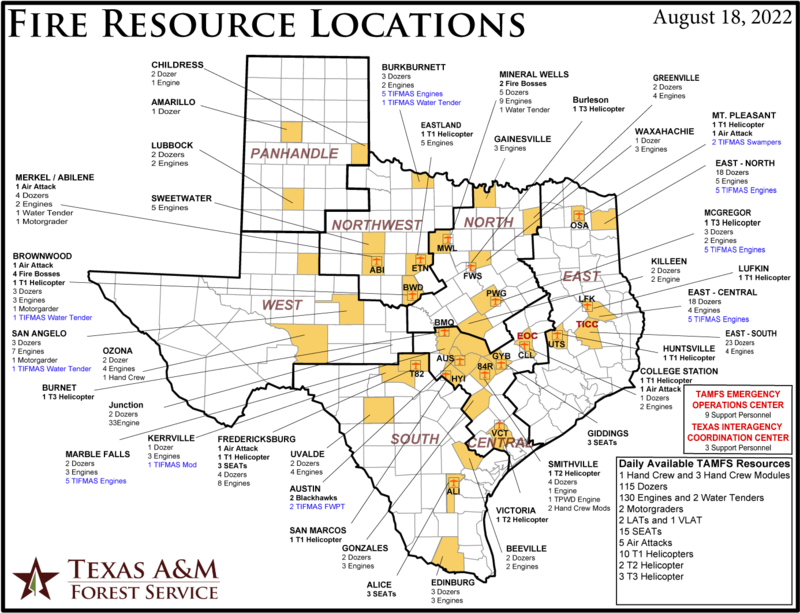 CURRENT FIRES - UPDATED DAILY - Texas Forest Serv. Current fires being fought. This is maintained by Texas Forest Service and updated daily or as needed. NATIONAL WEATHER SERVICE SHREVEPORT LA. This is updated daily. MAP OF THE REGION WE SERVE...Your help is needed. The cost of gasoline and diesel will have depleted our monthly operations budget in just a few days of assisting other Fire Depts. in Mutual Aid or covering our district. Please consider helping us by making a DONATION today. The method is secure through Pay Pal. All major cards are accepted. If you would like to send a check you may mail it Attn: Julie Binnion - JMVFD - POB 436, Judson, TX 75660.